Dimensions (HxWxD): 5.15" x 1.45" x .75"
This gorgeous, powerful 5.15 inch long 12 Sided Pale Lilac Amethyst Vogel Wand, weighing 6.55 oz. 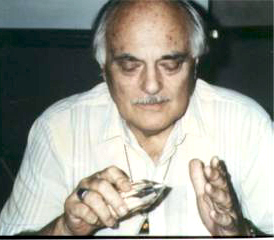 or 185 grams,is a precision light instrument cut to the exacting specifications of Master Crystal Healer and IBM scientist Marcel Vogel. 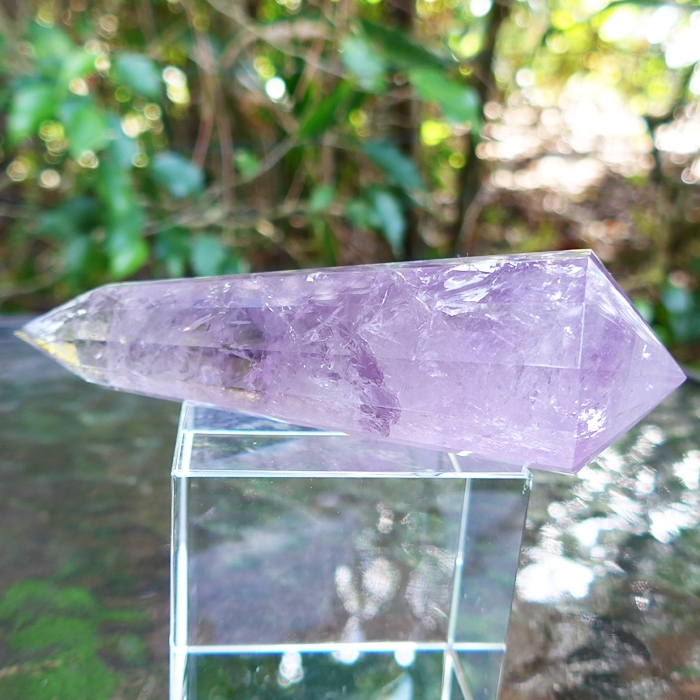 This Twelve Sided Amethyst Vogel Cut Wand is a tool for raising the vibrational frequency of the light body to facilitate the influx of the Holy Spirit, or Universal Life Force Energy, and is ideal for channeling the Violet Flame of Count St. Germain for meditation and healing. The this beautiful wand exhibits a light violet coloration throughout its lenght alongside its stunning clarity. This amethyst Vogel wand displays a few tiny pinprick surface inclusions which in no way mar the beauty or energetic power of this crystal. Amethyst wands generally have more inclusions than other types of quartz because the availability of affordable clear amethyst is extremely limited on the global market. 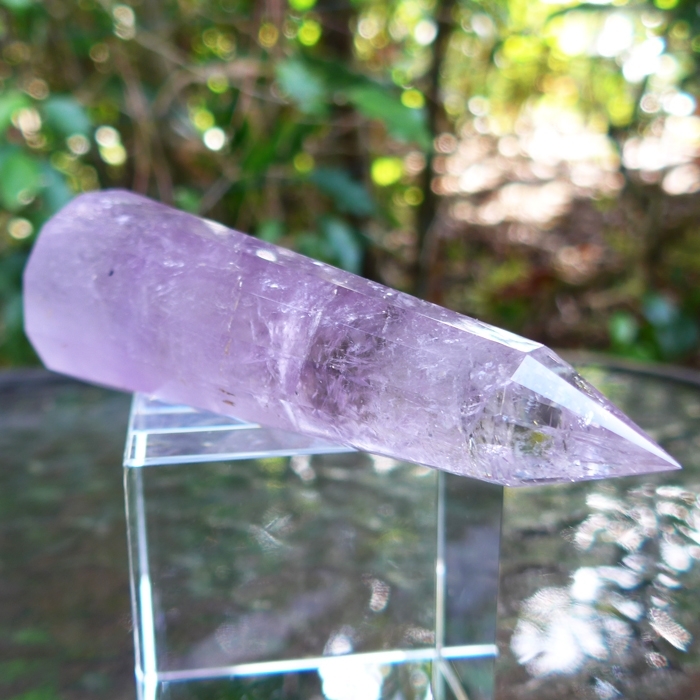 We have found that amethyst wands with substantial inclusions work perfectly well in Reiki treatments, crystal healing sessions and meditation exercises. 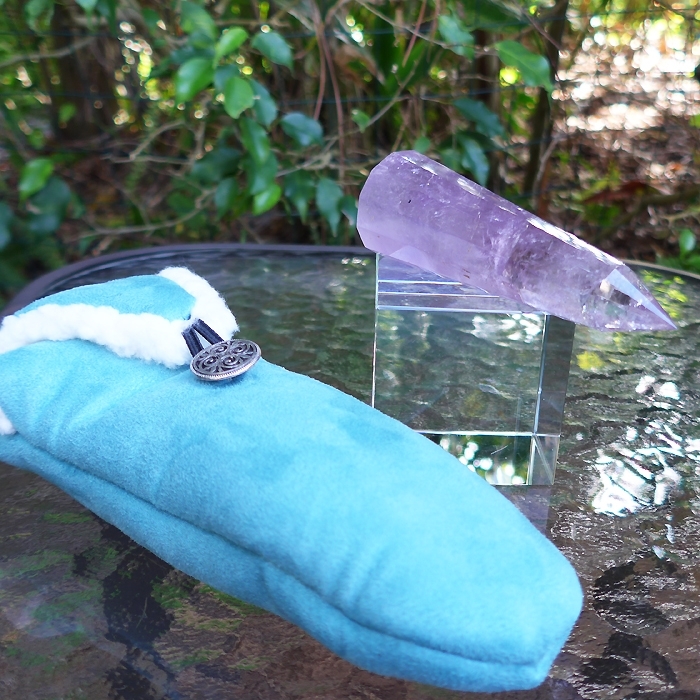 This affordable, powerful, well-designed and well-produced Vogel-style healing wand comes from the shop of Joao Grande, a young, talented crystal cutter affiliated with a major Brazilian quartz supplier. Joao's wands certainly meet Vogel's specifications, and are constructed with respect for the principles of sacred geometry. 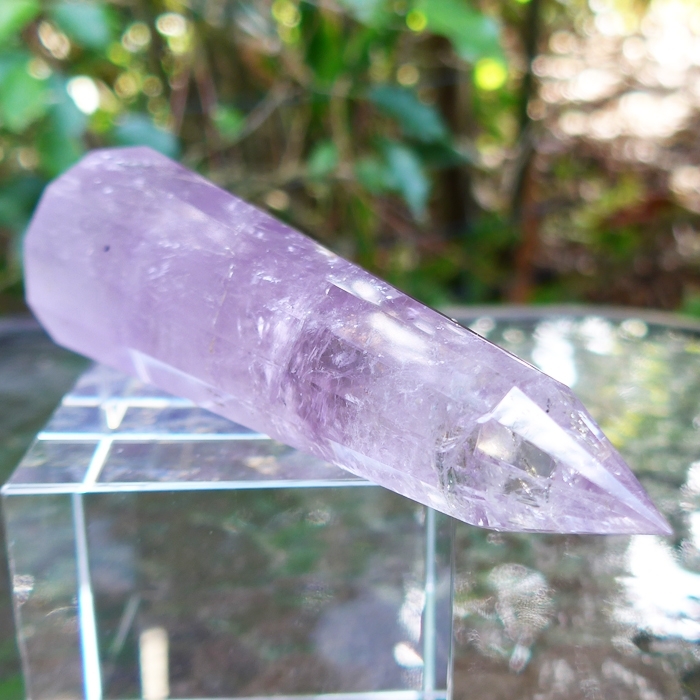 We have found the energy of this Amethyst Vogel wand to be deeply relaxing for our clients, enabling the recipient to access Higher Worlds with little effort. It is strongly resonant with the energy of the open crown chakra, and is ideal for use in transmitting the Violet Flame during works involving energy healing and spiritual purification. Satya Center is pleased to offer never-before-published material from the Marcel Vogel Archives on our website. Our Editor, Curtis Lang, is providing an edited version of the Vogel manuscript that was prepared for publication in the late Nineteen Eighties, not long before Vogel’s death, but never published. This crystal can be used for meditation, clearing, for hooks and cords work, for shamanic journeying or any other vibrational healing technique. As with all quartz, extra care must be taken if it is used to clear detrimental energies out of a person or space to clear it before further use. 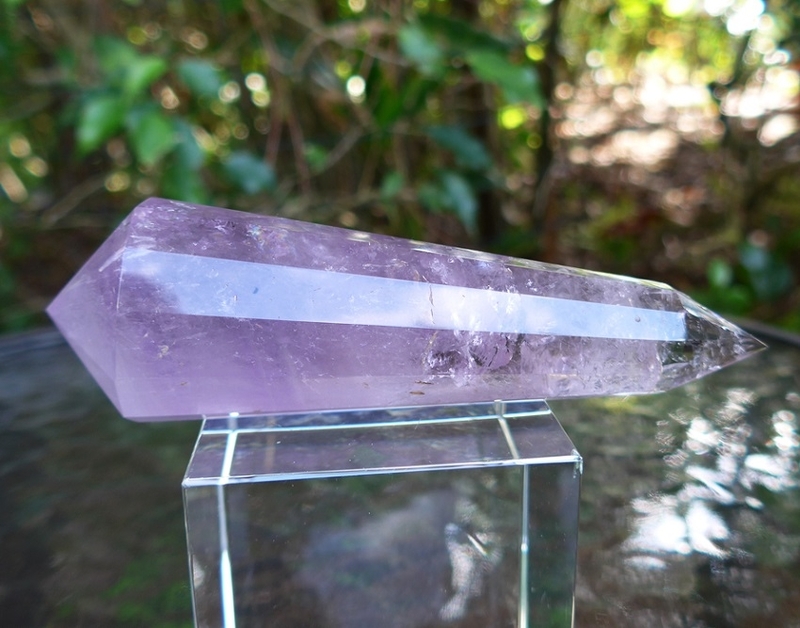 This Twelve Sided Amethyst Vogel Cut Wand is a tool for raising the vibrational frequency of the light body to facilitate the influx of the Holy Spirit, or Universal Life Force Energy. Amethyst is the traditional stone of purification, transcendence and aspiration, and is the perfect vehicle for the transmission of the Violet Flame, which heals the body, restores the wounded heart, elevates the mind to spiritual realms, and opens the inner eye to spiritual worlds. 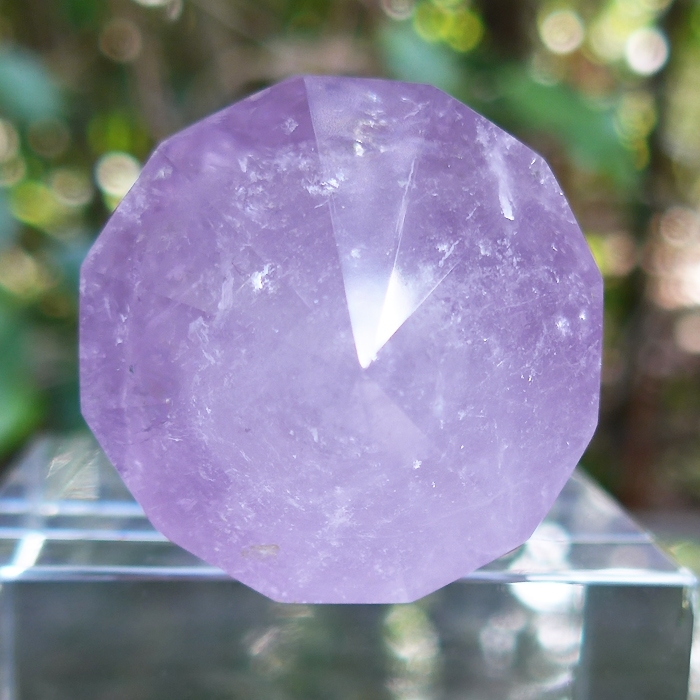 Read more about amethyst and other types of crystals at the Satya Center Crystalpedia homepage. Check out the article "Using Quartz Crystals in Digital Technology, Healing and Meditation" for an overview of the metaphysical and mineralogical properties of quartz, and a step-by-step guide explaining how to cleanse, charge, and program quartz crystals for healing, meditation and other spiritual purposes. Note: weight above is shipping weight. Net weight is 6.55 oz., or 185 gr.